While the Mac world may be a blur to us over at PCGamesN, there’s a storm brewing between Nvidia and Apple. Once upon a time Nvidia released graphics drivers for limited eGPU support, but now the computing giant is giving the GPU giant the cold shoulder. Reportedly this all stems from a deep down hatred of team green over at Apple HQ. Apple has a grudge against the green team, and that’s caused it to withdraw support for the Nvidia’s cards with its most recent MacOS update, Mojave. This update was released back in September, and, ever since, users with Nvidia silicon connected to their machines, whether eGPU or old PCIe workstations, have been facing rendering issues and poor performance. Nvidia even released a public statement blaming Apple for the lack of driver support, claiming it’s perpetually left waiting on approval. Users have even been petitioning Apple to allow these drivers on its operating system for months. But new reports have surfaced as to the reason why Apple shuns Nvidia and favours AMD instead. Apple Insider, true to its name, has been chatting to Apple employees behind the scenes and has discerned that there’s some bad blood between the two tech companies. A developer told the outlet that there was a “quiet hostility” between long-time Apple employees and Huang’s team on the other side. It claims this may be all down to the various poorly executed deals and blows between the two companies that go back over a decade. 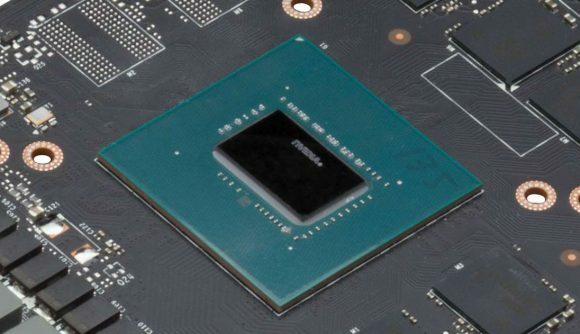 Apple was forced to delay a product due to Nvidia’s issues producing the GeForce 6800; Nvidia then was to blame for faulty MacBook Pros; Intel got angry about Nvidia’s tech; Apple subsequently went to AMD for help… yada yada, cut back to 2019, and Apple and Nvidia no longer get along. At least for Hackintosh users, however many of you that may be, this could remain an issue for some time. Apple seems resilient to bury the hatchet and get on good terms with Nvidia, and, according to reports, no one is entirely sure why anymore. Apple employees couldn’t pinpoint the exact source of the hostility. This also all plays into the hands of rivals AMD. The company has worked closely with Apple of various products in recent years, including the iMac Pro and Mac Pro dustbin, and it seems it will net itself any future product graphics business until Apple and Nvidia hash things out.